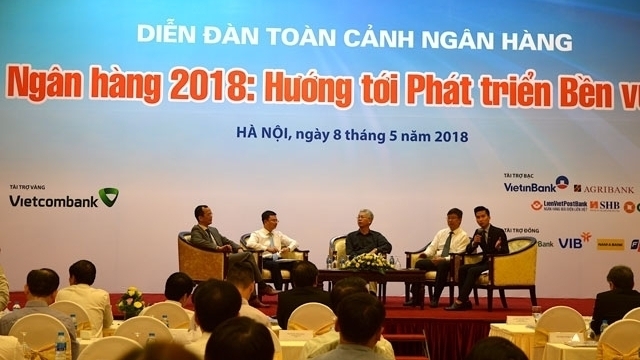 The sustainable development of Vietnam’s banking sector in 2018 was the theme of a conference held by the Saigon Economic Times on May 8. Deputy Governor of the State Bank of Vietnam (SBV), Nguyen Kim Anh, stated that the central bank’s monetary policy in recent years has helped lay a solid foundation for the healthy development of the banking system and macroeconomic stability. She added that Vietnam’s position has been enhanced, as seen in credit rating upgrades issued over the years by international ratings agencies. According to head of the SBV’s monetary policy department Pham Thanh Ha, inflation has been brought down from two-digit figures in 2008 to less than 10% and has remained relatively stable at low levels since 2012. Last year, Vietnam’s inflation averaged at 3.53 percent, lower than the 4 pct rate set by the National Assembly. Interest rates have also come down significantly since 2012 and remained stable in 2017. 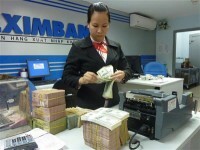 Vietnamese banks have also taken steps to improve their payment infrastructure and enhance security. SBV data showed that as of December 2017, Vietnam has more than 17,500 cash machines and over 268,800 points of sale, up 10 pct from the previous year while the number of cards and the value of card transactions have increased strongly. Head of the central bank’s IT department Le Manh Hung stated that online payments offer plenty of benefits but also face challenges from fraud and high-tech crimes. At the conference, speakers discussed the opportunities, challenges and expectations of the banking sector in 2018 and following years, as well as sharing useful information and in-depth analysis of monetary policy and banking restructuring.